PRODUCT DESCRIPTION Antibacterial safety footwear intended for use in the food industry, cleaning, laboratories or hospitals. The skin of this shoe Chacinero presents special resistance to elements such as fat or blood. 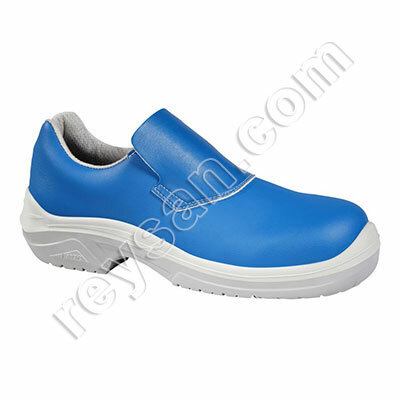 This practical safety shoe for slaughterhouses, food industry or sanitary field is made of natural waterproof 1st flower, with adjustable closure and a comfortable moccasin type design. Protects the skin in the area of most wear. PU + TPU sole, resistant to fats and oils. Plastic toe cap, super light impact (200J).